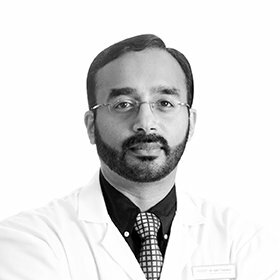 Dr. Ajit Tharakan is Amber Clinic’s Specialist Gastroenterologist. He obtained his MBBS and MD in Internal Medicine from the prestigious Kasturba Medical College in India. He subsequently had his Gastroenterology training from GB Pant Hospital, Maulana Azad Medical College, New Delhi (India). He has a special interest in Hepatology and has spoken at various medical conferences throughout India. Dr. Tharakan has an extensive list of research publications which he has written on Gastroenterology and Hepatology, as well as presented multiple papers at the Annual Conference of Kerala. He is also the founding Secretary of the Indian Society of Gastroenterology – Middle East Chapter and is the current Secretary of the Emirates Gastroenterology Society.